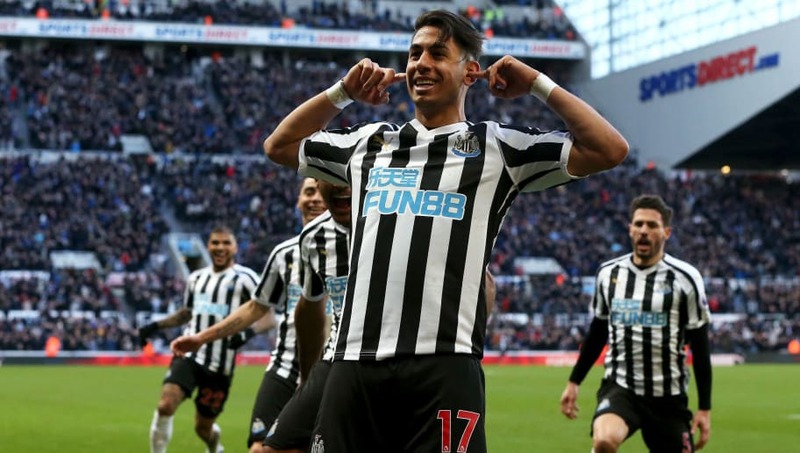 ​Napoli have emerged as surprise admirers of Newcastle United forward Ayoze Perez ahead of the Summer transfer window. Under Rafael Benitez, the Spaniard has scored 11 goals in all competitions; six in the Premier League. He has proved vital to pushing Newcastle away from the relegation zone and with five games to go this season. Newcastle's good form in the Premier League this calendar year, particularly at home, has been largely the result of Perez linking up with fellow forward Salomon Rondon exceptionally well. Due to his impressive performances, Perez has now become a target for SSC Napoli, according to Calciomercato. Carlo Ancelotti's side were linked with the striker last summer, and looked to have now re-kindled their interest alongside La Liga side Real Betis. At first glance Napoli may seem like a more exciting proposition, but a move to Real Betis would be a return to Spain for the Maria Jimenez native. Perez's future could depend wholly upon whether or not Rafael Benitez opts to stay at the club beyond this season. Benitez is said to be in the midst of contract negotiations with the Tyneside club. It is believed that, if Perez were request a move away, he would cost any potential suitors around £15m. For now, the striker, his teammates and Rafael Benitez will be focused on finishing the season strongly to ensure they secure Premier League football for next season. After a 1-0 home defeat to Crystal Palace, the Magpies will be looking to bounce back when they face Leicester City at the King Power Stadium this weekend.